Are you a crafty do-it-yourself-er-er (er)? Do you like to make your own things, like wallets and snow shovels, or whatever? If so, silly me has a semi-serious message for you. 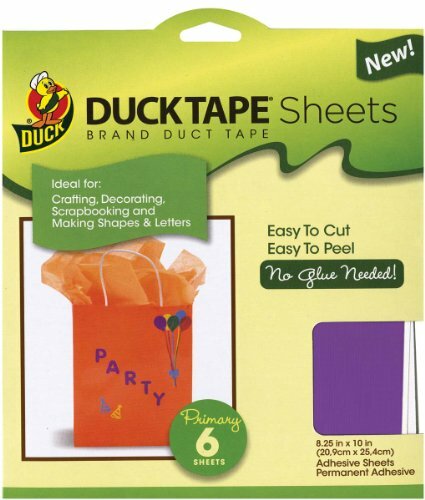 Buy Duck Tape brand in sheets to make your crafty craft-time hobby craftier. In this wizzle-wazzle here on Wizzley, we are going to explore Duck Tape Sheets. *Please note: This would be a massive undertaking, and is not recommended, unless you have a "ton" of time on your hands. Wait! This is not about Duck Tape prose. It's also not about people who are pros at using Duck Tape Sheets (though I would like to learn about those pros -- "those pros", get it?). No! 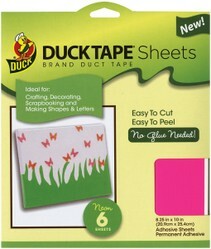 This is about what makes Duck Tape Sheets something crafty folks would want to use. Are There Cons to Duck Tape Sheets? Of "cons" to this product, I will say that -- as is typical with craft materials -- it seems you do not get "a lot". The sheets are sold in packs of six for $10. I would love to see them sell at 10 for $10. That said, you can also buy them online -- on Amazon -- "by the sheet". This is neat because it enables you to mix-and-match. 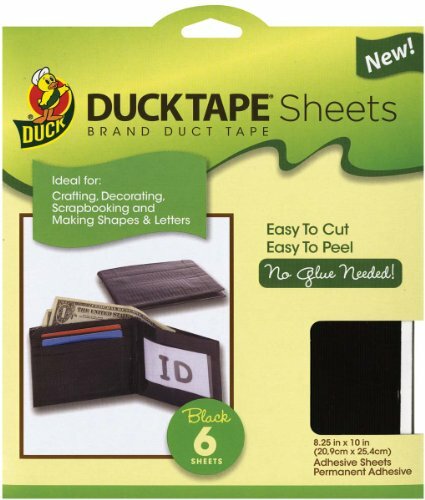 Sure, duct tape wallets are cool, but what about a two-tone or three-tone wallet made of Duck Tape of different styles? Whoa! That is a special, unique, DIY wallet, for realz! Having recently discovered how much fun playing with polymer clay can be, I thought I'd share some of my creations with you and the resources I used to get started.